‘It is the history of a revolution that went wrong – and of the excellent excuses that were forthcoming at every step for the perversion of the original doctrine,’ wrote Orwell for the first edition of Animal Farm in 1945. Orwell wrote the novel at the end of 1943, but it almost remained unpublished; its savage attack on Stalin, at that time Britain’s ally, led to the book being refused by publisher after publisher. 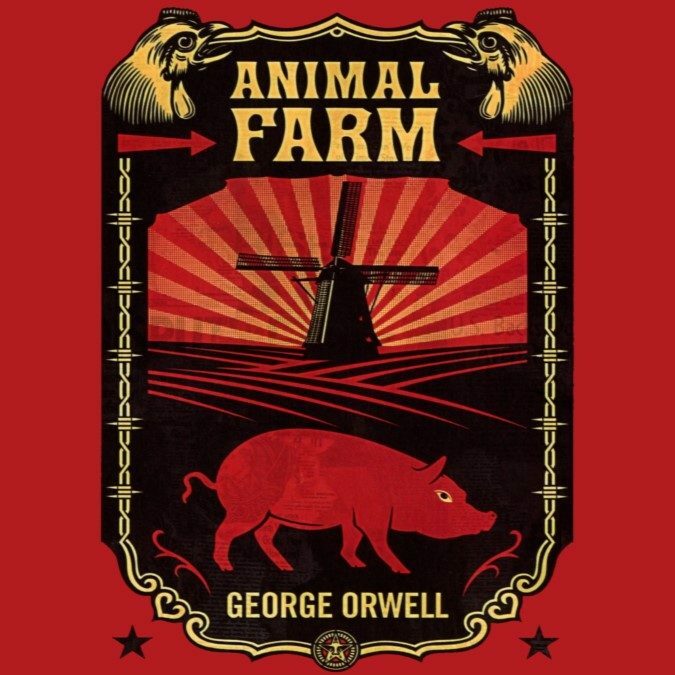 Orwell’s simple, tragic fable has since become a world-famous classic.